With funding support from the Centers for Disease Control and Prevention (CDC), Emory School of Medicine internist Lesley Miller, MD, is leading a hepatitis C virus testing program at the Liver Clinic at Grady Memorial Hospital. The program is called TILT-C (internal medicine Trainees Identifying and Linking to Treatment for hepatitis C). The goal is to increase early identification of hepatitis C virus (HCV) infections and enhance linkage to care, treatment and preventive services for those infected. "By treating hepatitis C virus patients we can save thousands of lives and significantly decrease deaths from end stage liver disease and liver cancer. But testing is critical because so many people with HCV are unaware of their infection," says Miller, who serves as medical director for the Grady Liver Clinic and is an assistant professor of medicine at Emory University School of Medicine. "HCV is treatable and curable, but we won't realize the full potential of our current, efficacious therapy unless we identify more of those infected and link them with care and treatment," says Miller. 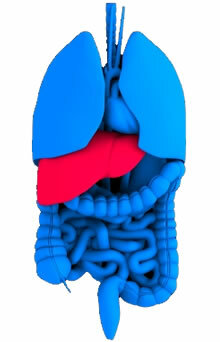 HCV infection can go undiagnosed for decades without symptoms until its effects are unmistakable, causing permanent liver damage, cirrhosis, liver cancer, liver failure and even death. The infection is spread primarily by blood-to-blood contact associated with intravenous drug use, poorly sterilized medical equipment and transfusions before 1992. Experts say as many as 85 percent of those infected are unaware of their disease. The Grady Liver Clinic, which provides comprehensive care for HCV infection, operates twice a week out of the Primary Care Center at Grady Memorial Hospital. As part of the testing program, patients born between 1945 and 1965 (the age group identified by the CDC as most burdened with HCV) will undergo antibody screening for the virus. Those with confirmed infection will be linked to care at the clinic. Miller will oversee the program, working with internal medicine residents from Emory School of Medicine. "Prior to these updated age recommendations from the CDC we have only been testing those with specific risk factors for HCV such as injection drug use and blood transfusion before 1992. This grant will allow us to capture a much larger group of infected individuals at a much earlier entry point regardless of risk factors who otherwise may not have been diagnosed," says Miller. By implementing TILT-C, Miller predicts a minimum of 2,000 patients will receive HCV antibody testing, 80-120 will be diagnosed with HCV infection, and 60-90 will be linked to care. "This intervention will demonstrate the feasibility of large scale hepatitis C virus antibody testing and successful linkage to care in a medically underserved, disproportionately affected population," says Miller. "We know from work in the Grady Liver Clinic that those with social disadvantages and difficult-to-treat hepatitis C characteristics can successfully navigate treatment and achieve a cure." Worldwide, an estimated 130 -170 million people are infected with hepatitis C virus. There are five times as many cases of HCV as HIV in the United States.